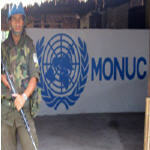 The United Nations Mission in the Democratic Republic of the Congo (MONUC) today announced that allegations that a number of its peacekeepers based in the Ituri District have engaged in gold and weapons trafficking are under investigation. 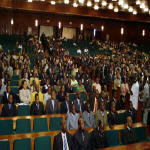 A four day training workshop is underway for DRC National Assembly deputies from May 21 to May 25 2007, at the Palais de Peuple in Kinshasa. The project, which is organized by the UNDP in conjunction with national and international partners, aims to further parliamentary knowledge of deputies in order to enhance the operational capacity of the National Assembly. Bukavu is a city of survivors. 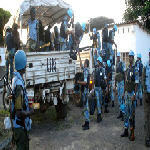 During the First Congo War （1996-1997），Bukavu was caught in the middle of fighting between Tutsi government forces and the Hutu that fled to the regionafter the Rwandan genocide. Government and rebel forces clashed there during the Second Congo War (1998-2003). In 2004, the city fell to soldiers led by General Nkunda, a dissident pro-Tutsi Congolese general, and in just three days, some 16,000 women were raped. The group WildlifeDirect says Mai Mai rebels have killed one wildlife officer - and critically injured three other people - in the eastern DRC. 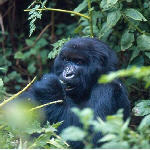 The group says the attacks on three patrol posts occurred early Sunday morning in the gorilla sector of Virunga National Park. 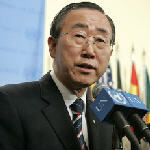 Welcoming steps to approve a Central African pact against the illegal trafficking of arms and a code of conduct for the countries' armed forces, Secretary-General Ban Ki-moon today told a United Nations-sponsored security meeting that such concrete measures were needed for the region to achieve lasting peace and stability. Although global cereal production is expected to reach record levels this year, at least 33 countries are forecast to face serious difficulties, largely because of conflict, economic struggles or bad weather, the United Nations Food and Agriculture Organization (FAO) reported today. 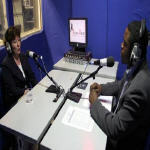 United Nations High Commissioner for human rights Louise Arbour spoke on May 15 2007 on the UN radio in the DRC- Radio Okapi - on issues relating to the fight against impunity and the reform of the justice system in the DRC, as well as sexual violence against women. 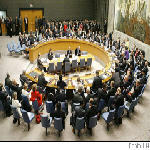 Aiming to help the Government of the Democratic Republic of the Congo (DRC) cement stability, the Security Council today extended the deployment of the United Nations peacekeeping mission there until the end of this year. 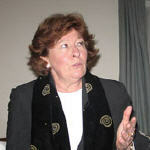 Serious human rights violations take place almost daily with total impunity in the Democratic Republic of Congo (DRC), said the United Nations High Commissioner for Human Rights, Louise Arbour, on a visit to the country this week.